I would like to focus on how to experience them by walking as much as possible. As mentioned in my first post about California – itinerary, first stop Mendocino – there is no better way to truly taste a place than by exploring it by foot. My plan how to walk San Francisco is for 4 days and covers a big part of the sights of this magnificent city. While the proposals for the first 3 days are especially suitable for first-timers, day 4 is also a great suggestion for returning visitors. 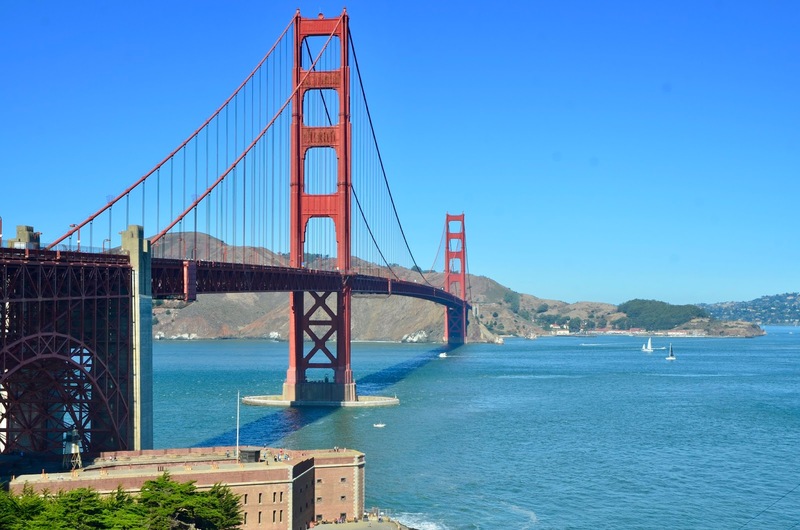 A good starting point in a San Francisco adventure is certainly at the most well-known landmark of this city, the Golden Gate Bridge. I suggest that you not only gaze at this iconic emblem from one point but do this at several spots, favorably on a clear day. 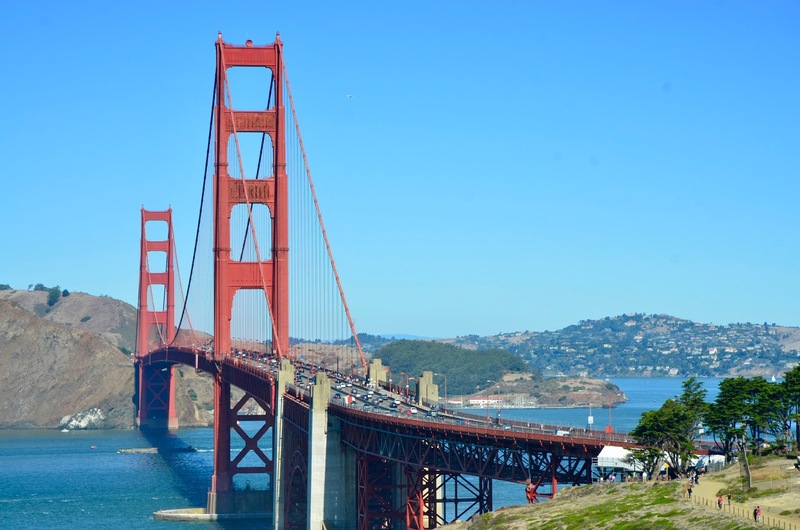 The tour that I have in mind starts at Golden Gate Overlook (1) at the southwest side of the Golden Gate Bridge and ends at the Aquatic Park just west of Fisherman’s Wharf and takes totally about 1 ½ to 2 hours and offers numerous locations to view the bridge and the city skyline. 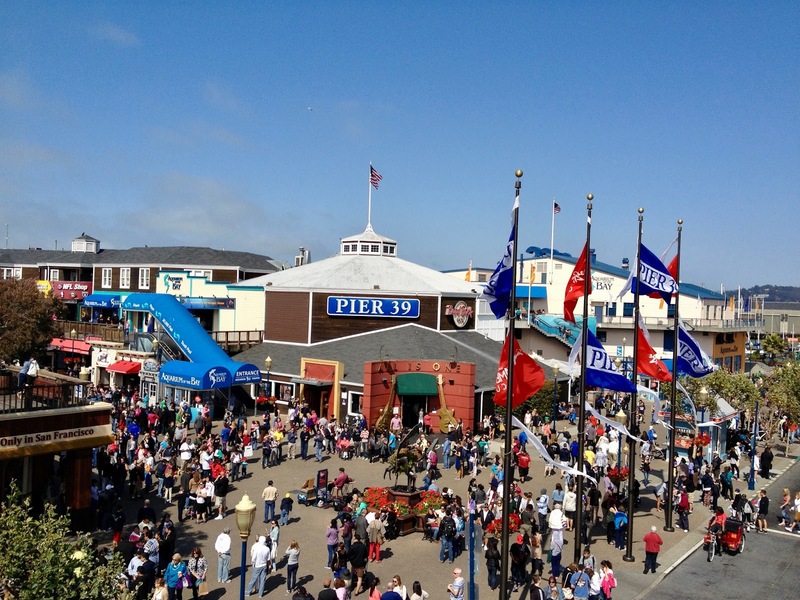 and go to the Torpedo Wharf (3), which today is used as a fishing pier. you are at the end of the first tour. 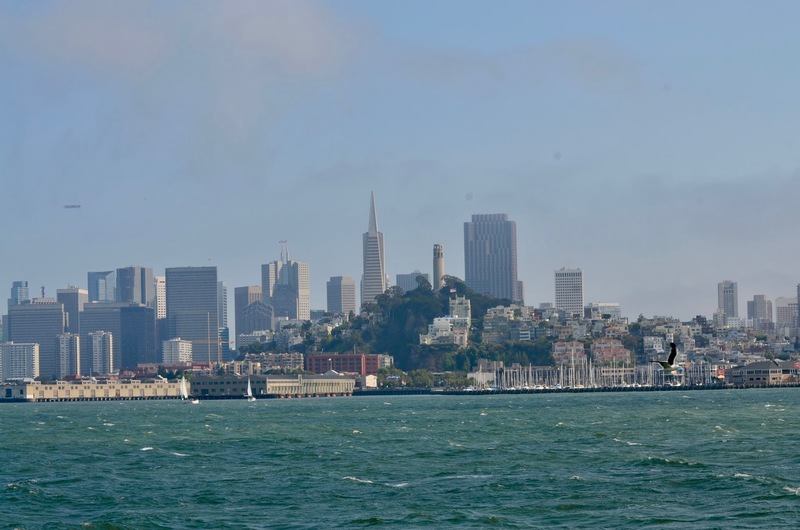 The second tour covers the northern waterfront, which is one of the busiest tourist areas in San Francisco, with a side trip to Lombard Street. Ghirardelli Square (6) is right above the Aquatic Park. It is originally home of the first Ghirardelli Chocolate Factory and now a place full of shops and restaurants. After having explored this site, your next stop is the Lombard Street (7) between Hyde and Leavenworth. the tour has found its end. leaves at 9:00 AM. As usual it is very much recommended to buy tickets in advance. 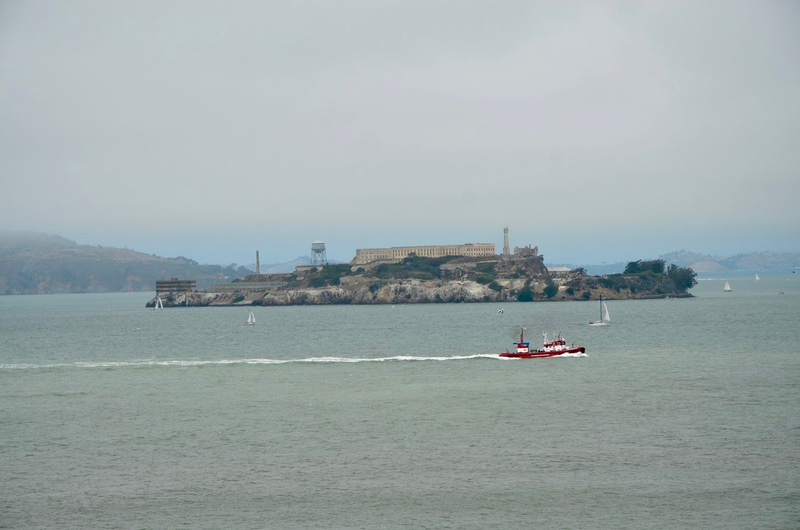 Included in the ticket price is the award-winning cellhouse audio tour, where former Alcatraz inmates and correctional officers report on their life on this island. Do not miss it, it is really great! 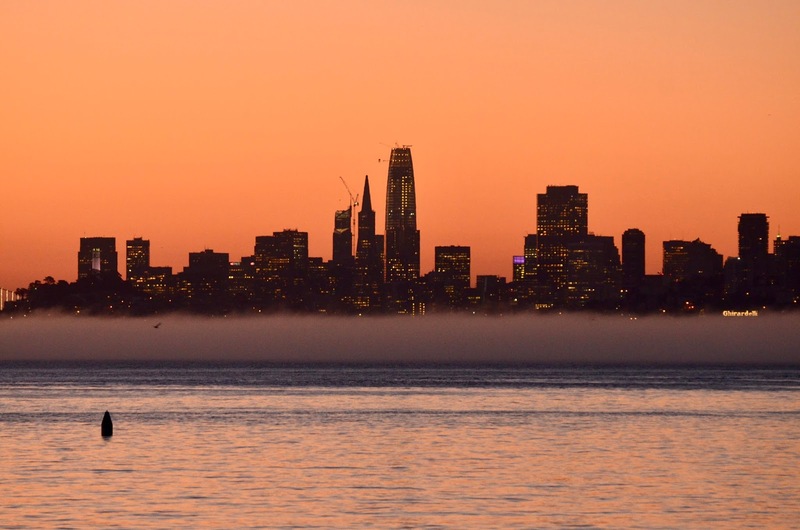 A much-welcomed side effect of this trip is also the view you can enjoy of San Francisco’s skyline. Back on the mainland, you may explore the northeast of this city a bit closer. 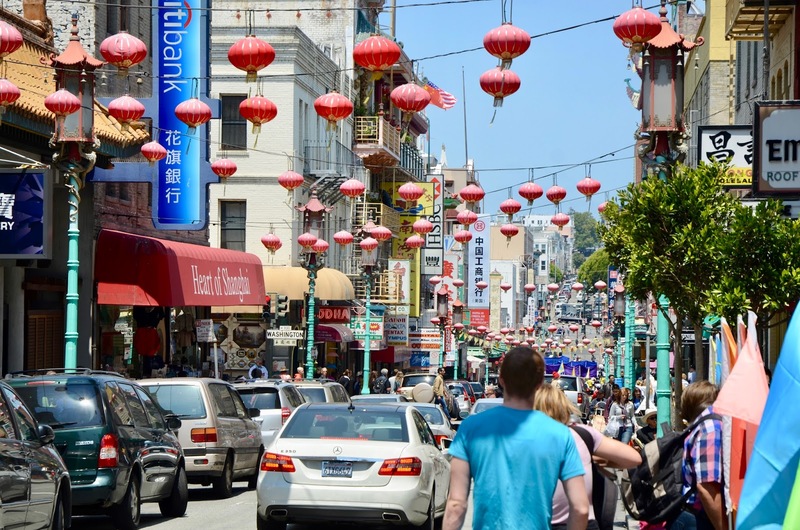 In a walk of about 30 minutes you can reach Chinatown (3), the oldest one in North America and the largest one outside of Asia. 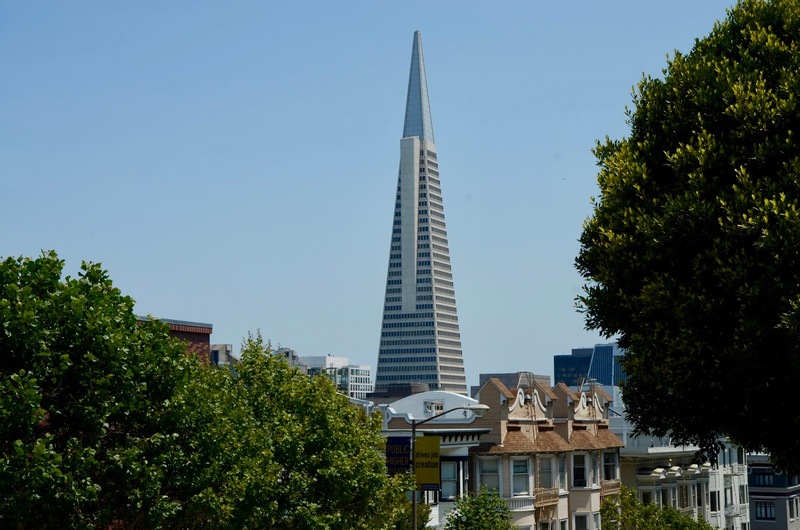 Then head to the nearby Financial District and check out “The Wall Street of the West Coast” with the city’s tallest building, the Transamerica Pyramid (4). 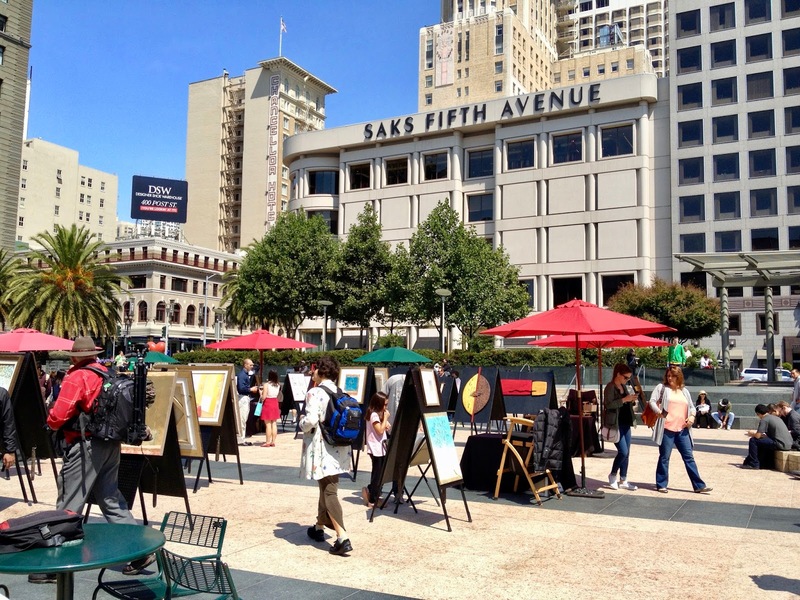 Next stop is San Francisco’s most visited neighborhood, Union Square (5), a shopping paradise. 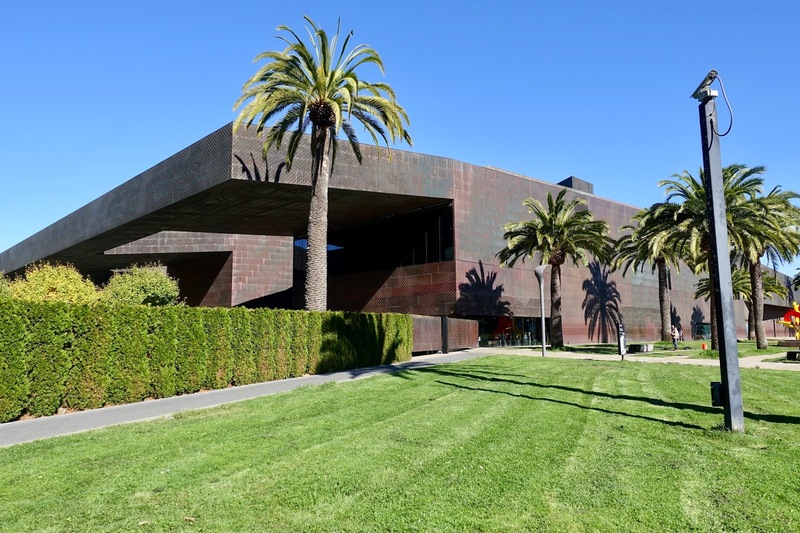 Finish your tour by visiting one or more of the museums in the South of Market, e.g. San Francisco Museum of Modern Art (6),Yerba Buena Center for the Arts (7) and/or the Contemporary Jewish Museum (8). 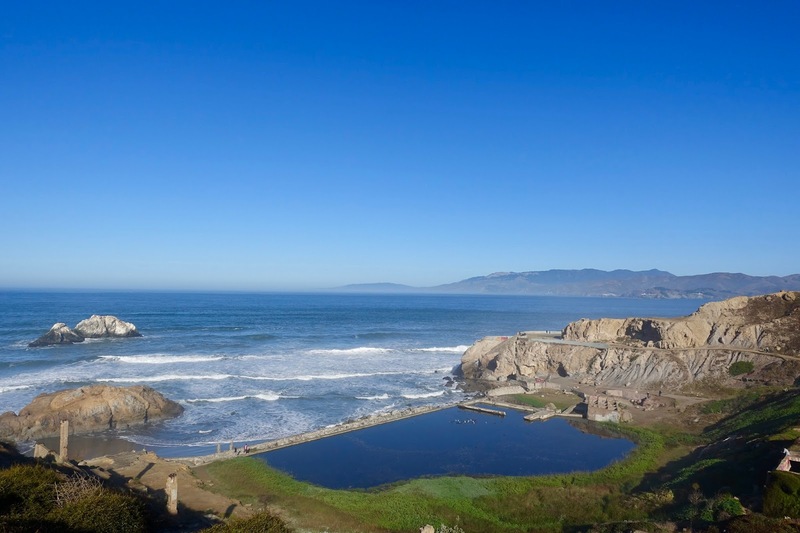 This day is devoted to the northern and central northern part inclusive the eastern half of the Golden Gate Park. 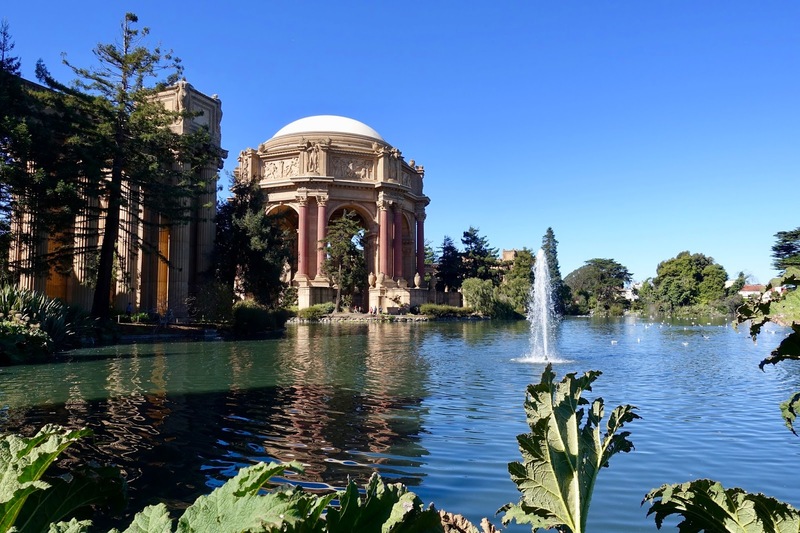 one of San Francisco’s most monumental buildings with a beautiful lagoon. Head south along the Presidio, a former military base that is now a park. When reaching Chestnut Street (2) go to the section between Divisadero and Fillmore Street and check out the eclectic mix of shops, fun bars and hip restaurants. Back at the Presidio head further south until you come to the Lyon Street Stairs (3). 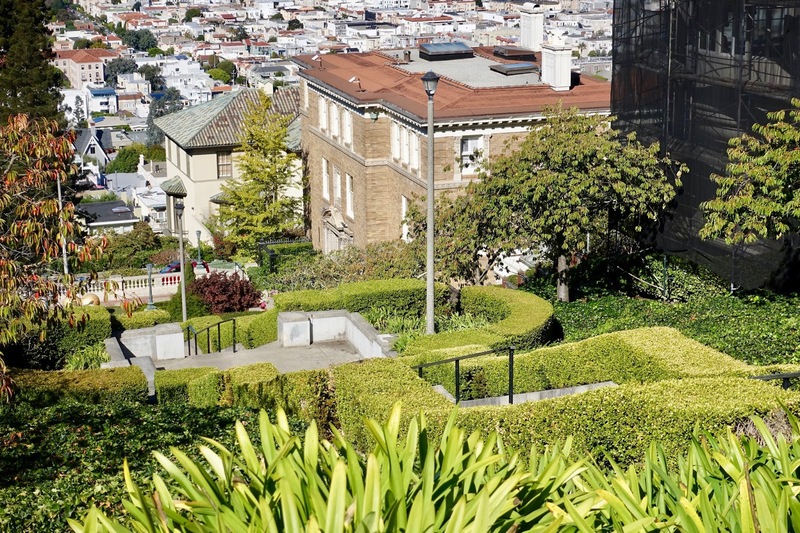 These exceptionally steep and beautifully landscaped stairs bring you to Pacific Heights with its striking mansions. 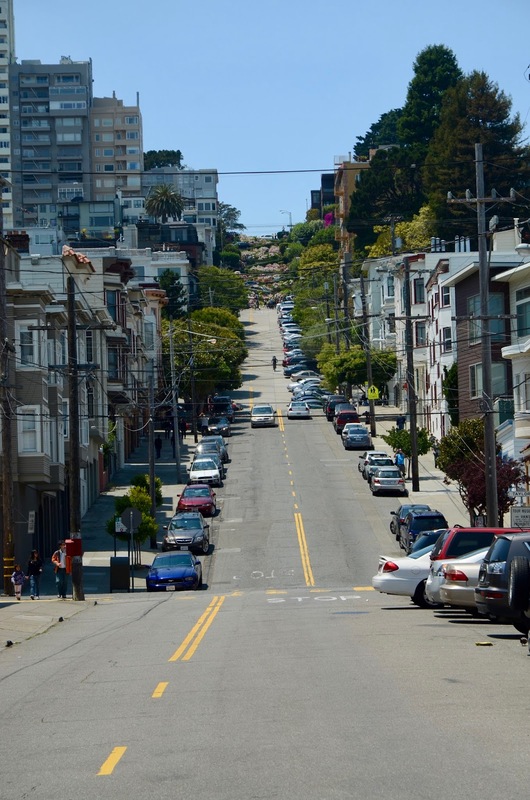 Explore the area, which was named the United States’ most expensive neighborhood, by walking along Pacific Avenue in western direction, passing the hotel we stayed at, Hotel Drisco (4) until Fillmore Street (5). Here most of the area’s boutiques and restaurants can be found, follow it further south. 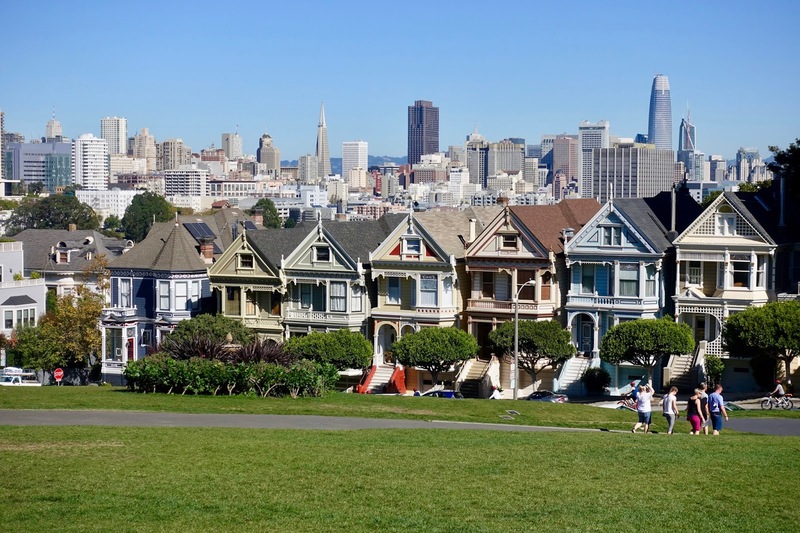 After about 30 minutes you reach one of San Francisco’s most popular sights, the Painted Ladies (6). This “Postcard Row” of Victorian houses is directly located across from Alamo Square park. the Japanese Tea Garden (9) (oldest public Japanese Garden in the U.S.) and the Stow Lake (10) (man-made lake with an island, pedal boats & Chinese pavilion) are worthwhile places to visit. 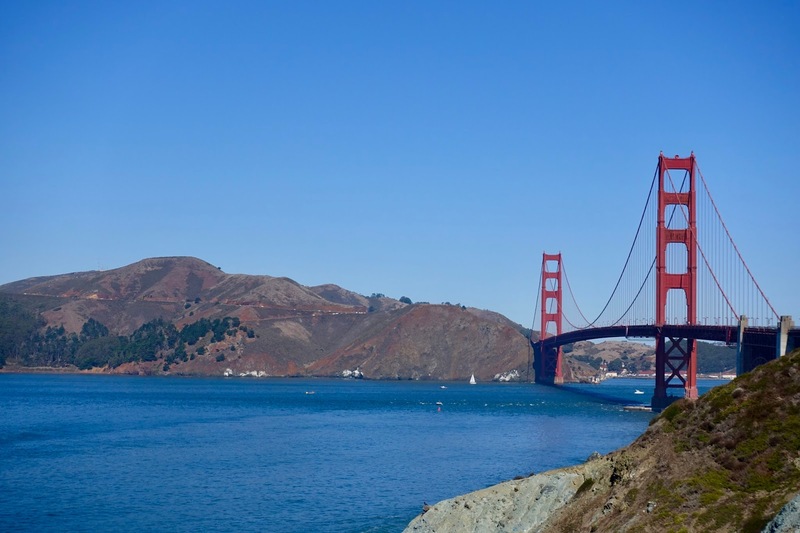 This hike along California Coastal Trail is a great activity for nature lovers as well as fans of the Golden Gate Bridge (GGB) as you can view this impressive landmark from different angles and distances while approaching. 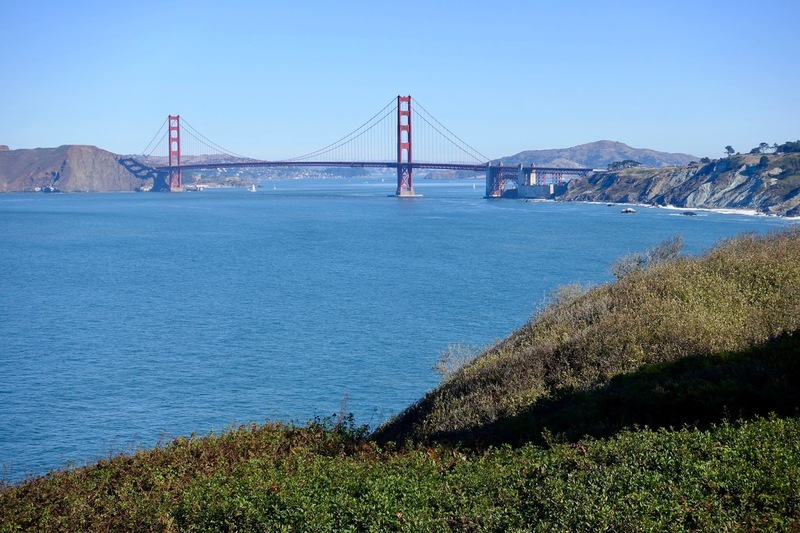 As far as the Marin Headlands is concerned, one of the Bay Area’s most popular hiking destinations just across the Golden Gate Bridge, I only went to Battery Spencer outlook, from which you have a jaw dropping vista of the Golden Gate Bridge. a former swimming pool complex that burned down in 1966 and is now in ruins. From here the Lands End Trail winds along the coastline. Every now and then, you get glimpses of the GGB. There is a path down to Lands End Point (3), which is a great spot to view the GGB. and to find the closest trail by the sea to resume your hike. 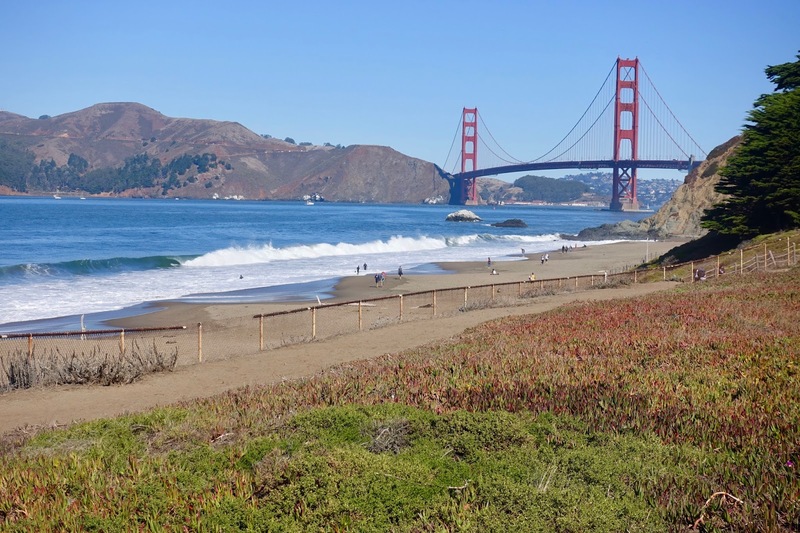 Shortly afterwards, you arrive at the Presidio and it is already time for another spectacular view of the GGB, now from Baker Beach (5). Continue your way towards the bridge along Marshall’s Beach until you come nearer and nearer to it and there is an increasing number of people around. At this point, you are probably close the Golden Gate Overlook (6), the end of this hike. 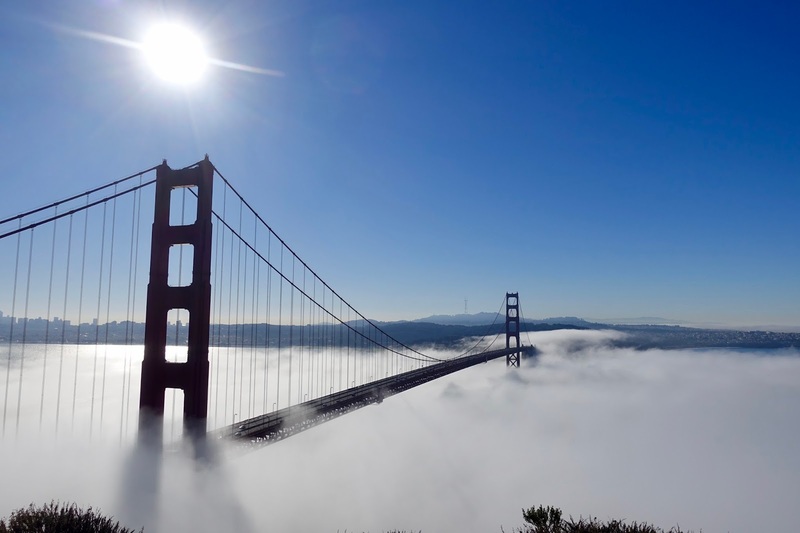 Take a last picture of the GGB and decide whether to visit the Marin Headlands (7) as proposed or to do it some other time. in fact on another day and by car, I would not know whether this other amazing viewing point of GGB can be reached by foot from the Golden Gate Overlook. Does anybody know whether this is possible? My next post will be about Cambria, a pretty town midway between San Francisco and Los Angeles. As usual, I will report on where to stay and eat and what do do when traveling in style. Did you try out one or more of the tours I proposed? If this is the case, do you anything to add?